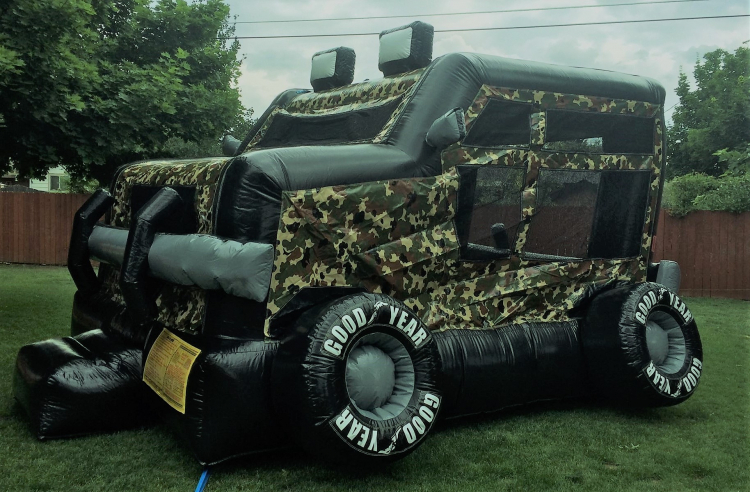 Rent the Inflatable Camo Truck Bouncer! Rent for $119 All Day! This bounce house is great for all ages! Are you having a military or camouflage themed party? Do your kids love to play Army? Than this bounce house is for you! It’s a fun filled camouflage Army bounce house that your kids will love.